Meetings of the Hearing Loss Association of America, Mission Viejo Chapter are temporarily suspended. The chapter hopes to resume meeting again on a new, day, time and location when new leadership can be found. Training is available. It is hopeful we can resume meetings in the Fall. Please consider joining other meetings in Orange County. 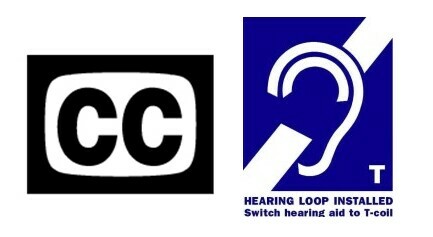 Hearing Loss Association of America, City of Orange Chapter. Meeting in Laguna Woods. The club meets the 2nd Tuesday of each month in the afternoon. Current information is available on their website at www.hearingwellclub.com Non-residents can be a guest and must RSVP to attend meetings to be added to the guest list. Audiology Advisor, Ann Mundell-Noel, and Toni Barrient, Club Advisor will be completing their talk on Hearing and Understanding which began at the January meeting. Admission is free- bring a friend or companion. Did you struggle to understand during the holidays? Is your New Year’s Resolution to improve your hearing? Then you need to attend the MVHLAA meeting. Hearing Loss 101- “Hearing” but not “Understanding” why. Come and learn the basics of hearing loss and how it affects your life? Audiologist advisor Ann Mundell-Noel, and group advisor Toni Barrient will lead the presentation and discussion. Start the year our right- Learn how to get “mentally fit” by improving your understanding of hearing loss and its effects. We become more stressful and anxious as the holiday season approaches. For those of us who have hearing loss, the stress level can escalate as we start planning family gatherings or go to parties and restaurants with excessive noise levels. The HLAA Mission Viejo Chapter is proud to present Ann Mundell-Noel, MA, Audiologist, and owner of Ultimate Hearing. Ann will present strategies and actions for you to implement, which can reduce your stress and anxiety, and make the holiday season more enjoyable. Ann Mundell-Noel, MA, Audiologist, and owner of Ultimate Hearing. She will also present practical solutions to common hearing issues and new technologies to help you understand better in noisy environments. Being prepared both physically and mentally can help you more fully enjoy your holiday events. Don’t miss this emotionally uplifting program and learn about some helpful gift ideas for yourself. We look forward to celebrating the holiday season with you. Have you heard of Ototoxic Drugs? Are you aware that these drugs can cause hearing loss? Join us for the next meeting when Joni Doherty, M.D., Ph.D. of the Keck School of Medicine of USC presents a discussion of these drugs and their possible side effects on hearing loss and balance problems. The presentation will provide a comprehensive introduction of current studies on how certain drugs adversely affect the sensory (hair) cells, and thus potentially cause hearing loss and balance functions. Symptoms that may indicate Ototoxicity will be discussed. Classes of drugs and how they affect the inner ear will be included. An overview of pre-treatment that could prevent Ototoxic damage to the ear will be provided. Finally, there will be a discussion of potential treatments. This is a guest speaker program you will not want to miss. Do you avoid meeting friends and family in restaurants? Do you have trouble hearing everything your doctor is telling you? Do you dread going to the bank? How often have you said, “I’m just going to stay home; it’s too much work to understand what everyone is saying.” We all know that hearing aids aren’t perfect; there are so many situations where we just don’t understand what is being said. Join us for a special presentation by Katie Wright, a certified trainer with HLAA’s N-CHATT program. Come get some hands-on practice with personal amplifiers. See what may work to help you fully participate in life. Then you can say: Ah! Now I Can Hear You! Be sure to bring your questions. Admission is free.